Today is Monday, February 18th, 2019, and these are your news and notes. 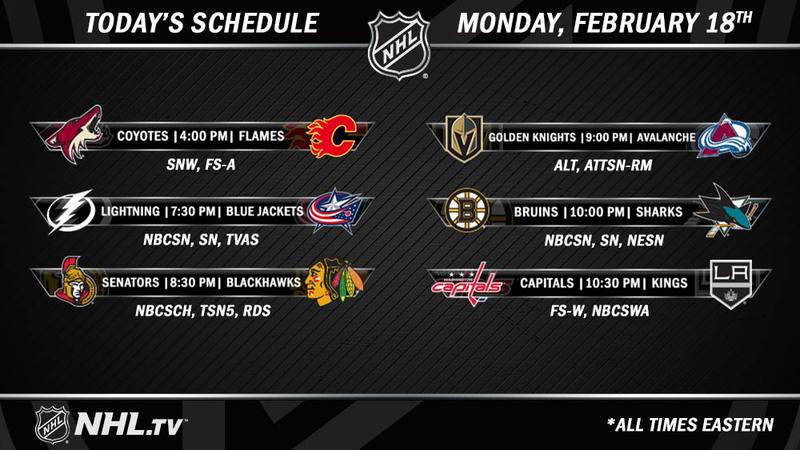 There were six contests in NHL action yesterday. The Pittsburgh Penguins would squeak away from the New York Rangers with a 6-5 win, thanks to two goals from Kris Letang and Evgeni Malkin. New York’s Mats Zuccarello would score two goals of his own in the contest as well. The St. Louis Blues would net their 10th consecutive win and their third straight shutout with a 4-0 win over the Minnesota Wild yesterday afternoon. New Jersey’s Kyle Palmieri would have two assists and a goal in this contest to help the Devils down the Buffalo Sabres 4-1. Cor 👏 y chants to end this one! The Philadelphia Flyers would end the home-and-home series with a set of back-to-back wins over the Detroit Red Wings with a 3-1 win last night. Philadelphia’s Oskar Lindbolm would have a two goal game in this contest for the Flyers. Florida Panthers Aleksander Barkov would have a hat trick in this contest as the Panthers would double up the Montreal Canadiens by the score of 6-3. Montreal’s Max Domi would have a two goal effort but it would not be enough as the Canadiens fall to a record of 31-21-7 and are tied with the Pittsburgh Penguins for the two wild card spots in the Eastern Conference standings. Le premier but de Max Domi ce soir était son 50e point de la saison. In this contest, Washington Capitals Alex Ovechkin would score his 40th goal on the season but it would not be enough as the Capitals would fall to the Anaheim Ducks 5-2. On Anaheim’s side, this win would be their fourth win in the last 24 contests. Two records were also broken by Ducks players in this contest. Cam Fowler is now the franchise leader for assists by a defenceman and Ryan Miller is now the the leader for most wins by a U.S.-born goaltender in NHL history. In a pre-game ceremony, the Ducks would retire Scott Niedermayer’s number 27. Niedermayer joins Paul Kariya, whose number was retired by the franchise earlier in the season, and Teemu Selanne. TXHT has your full breakdown and recap of the contest between the Washington Capitals and the Anaheim Ducks at the following page. For more news, notes, information, and stats…. 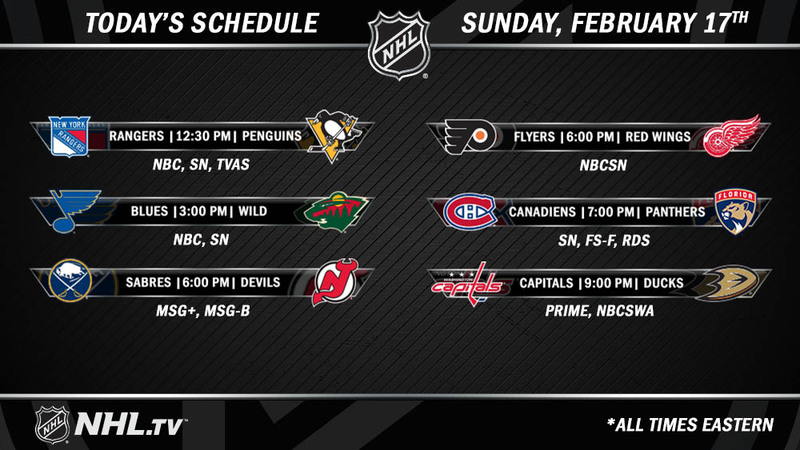 How about some #PresidentsDay hockey?! The Riveters host @TheBostonPride on Monday at 1 PM ET at @NJDHockeyHouse!